Slow growing and smaller than other varieties. The leaves are golden yellow and hold their colour throughout the season, even when grown in shade. Reddish pink flowers in early spring. 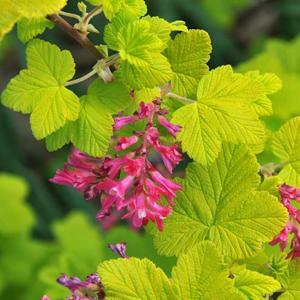 Any reasonable well drained soil, in sun or part shade. Tends to scorch in strong full sun.